Imagine a future where nearly everything in the physical world is connected to ubiquitous, high-speed mobile networks and an exciting new world of ultra-high definition virtual reality delivered by the same mobile networks. Think of cars that safely drive themselves, buildings that regulate their electrical and water systems automatically, smart grids that can restore power in fraction of a second, and doctors that monitor patients’ vital signs and perform diagnoses remotely in real time. This is the promise of the next generation of mobile technology known as 5G, and it’s coming soon. In my role as one of Syniverse’s 5G specialists, I repeatedly get questions about what 5G will mean to mobile and what new services it will bring, and to help explain where we are today, I recently compiled some of the most common of these questions and answers into a new guide, “The Future Is 5G,” which can be downloaded here or below. 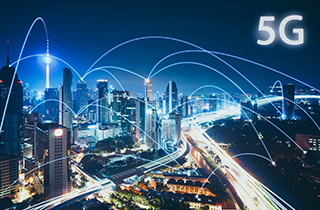 As mobile traffic continues to explode and new technologies like the internet of things drive massive numbers of devices online, 5G will play a pivotal role in the future, where all facets of the world will embrace and leverage mobile. Indeed, it could be said that the future is mobile, and the future is 5G. Syniverse is looking forward to being a part of this exciting future, and I invite you to check out this guide to better understand 5G. And please stop by to see us at Mobile World Congress next week, too, if you’re coming. Visit the Syniverse pavilion at Stand 2G11 in Hall 2, or go to our event page for more information about our Mobile World Congress activities. I hope to see you there!